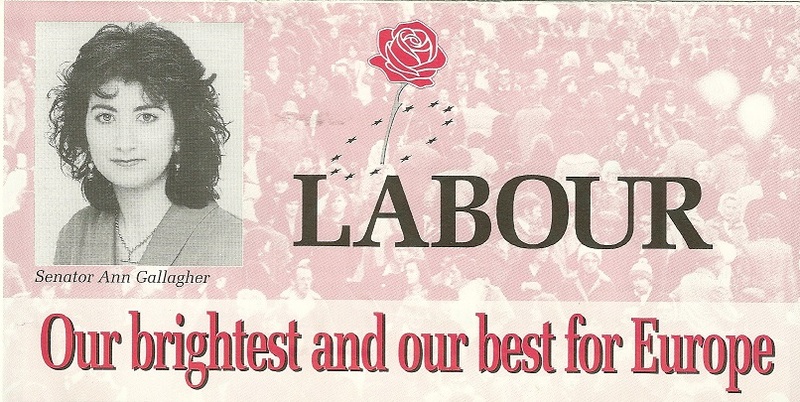 From the 1994 European Elections a leaflet from Ann Gallagher who was running for Labour in Connaught Ulster. She polled 19,826 votes and missed out on a seat. 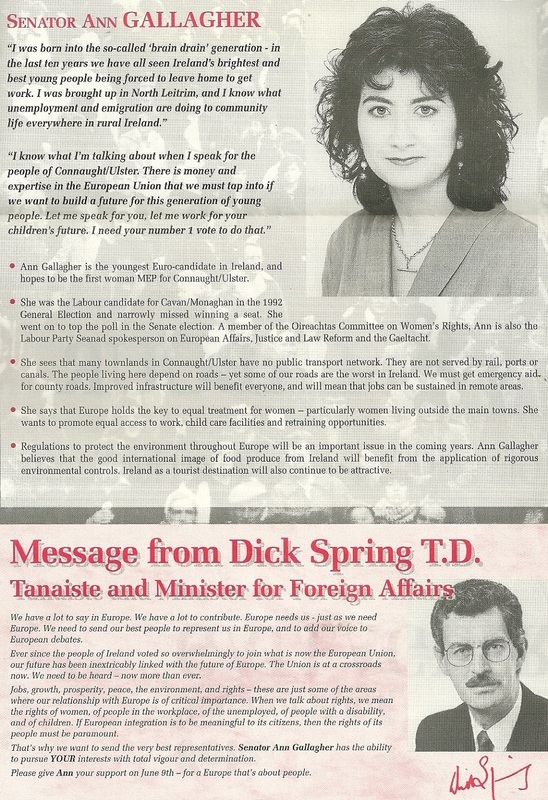 She had been narrowly defeated in the 1992 General Election standing in Cavan Monaghan and was subsequently elected to the Seanad.